1st Choice Security Systems are proud of their reputation for being a high-quality provider of automatic gates in Milton Keynes. Over the past fifteen years we have seen demand rise steadily for our popular automatic gates systems. We now have examples of our work in operation across the region at residential properties, commercial premises, car-parks and warehouses. We think that there are two reasons why so many of our customers opt for automatic gates as an effective security measure; first, our security gates offer peace of mind – they allow you control and visibility when it comes to regulating access to your property. Secondly, driveway gates for residential houses, or electric gates guarding commercial premises enhance both the look and the value of your property. 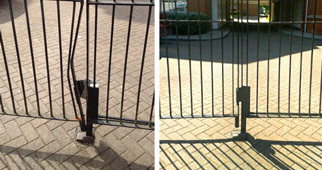 Why Install Automatic Gates in Milton Keynes? Milton Keynes is a security-conscious community; its residents are blessed with relatively low levels of burglary, trespass, vandalism and arson. Recent figures have reported burglaries across the Milton Keynes region as being just under 2,000 per year. A recent newspaper report, however, warned residents that their low crime statistics were under threat, as year upon year cuts to policing in the Thames Valley area were in danger of offering an open invitation to thieves and criminals. Whatever the crime statistics, at 1st Choice we would recommend that installation of security gates in Milton Keynes; their presence demonstrates a responsible and proactive attitude towards security, encouraging neighbourhood vigilance and ensuring that your local area remains safe whatever the economic climate. Our skilled and experienced installers and designers are interested, first and foremost, in designing and installing the system which will best suit your needs and your property’s unique characteristics. Over the years we have installed a range of bespoke automatic gates in Milton Keynes, and in the surrounding towns and villages such as Bletchley, Woburn and Cranfield. Whether you’re looking for a new bespoke installation, or you want your existing security gates in Milton Keynes upgraded, we will give you advice informed by our experience of working across a range of different locations. Whilst our primary focus will be upon the safety and security of the property and people the gate is designed to protect, we will also work with you to create a feature that you will be proud to have as the gateway to your home or place of work. We aim to provide you with a long-lasting security solution. 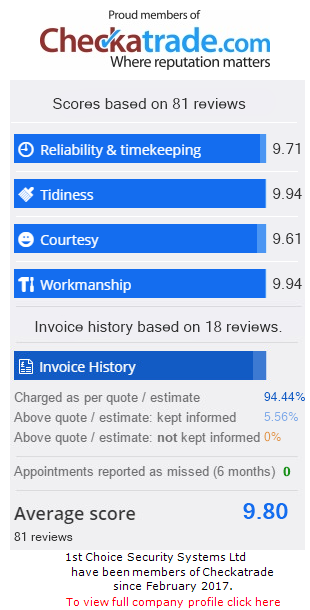 That’s why we offer Maintenance, Servicing and Repairs packages on your security gates in Milton Keynes. We are happy to provide you with regular checks and updates, undertaken by our dedicated maintenance team, and – should you experience problems with your automatic gates – we promise to respond within 24 hours, in order to ensure that your security isn’t compromised. Our design, engineering and installation work is all completed by our home-grown team of skilled and fully qualified technicians. We pride ourselves on producing work only of the highest quality, and we can guarantee that our security gates in Milton Keynes are second to none when it comes to securing your property and the goods and people in it.